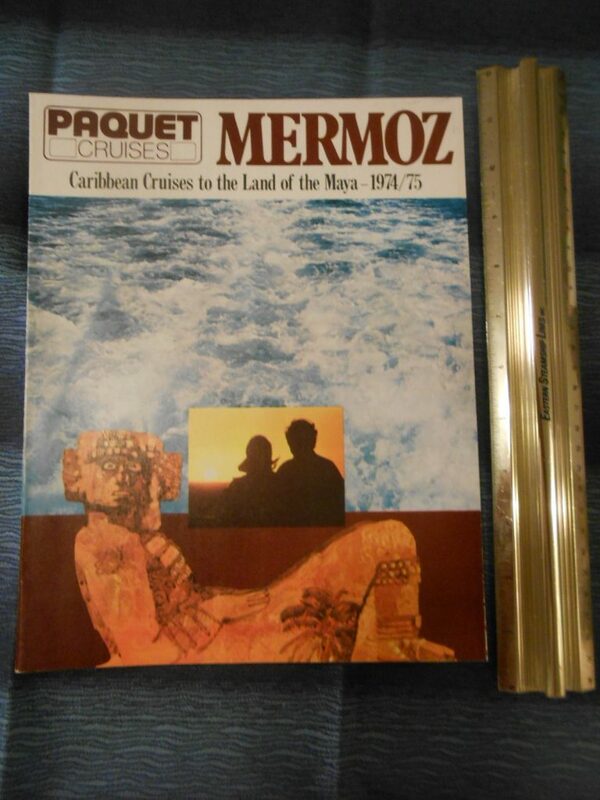 Great brochure for the Mayan cruises in 1974-75aboard the French stunner Mermoz. The Mermoz was “dedicated to the good life and the brochure covers all aspects of how the good life aboard the ship was defined. 2 pages of fully colored deck plans … this brochure is very nice!